reference to the chandelier, or how large should columns be. order of the "Golden Rule" in the following article. represented the natural proportions of both humans and art / architecture. In simple terms, it is approximately a 1/3rd to 2/3rds ratio. 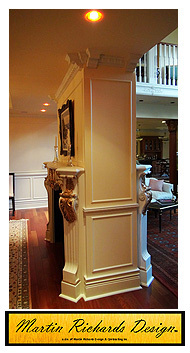 and Boiserie or dividing columns, cabinetry etc. 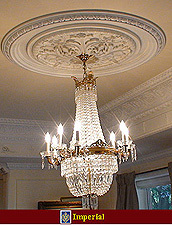 simply add a ceiling expansion ring to achieve the PHi ratio.